OneSearch Direct, the UK’s largest local search data company, has developed a solution for faster search results by creating a new report that can be returned within 24-hours, in most instances. Utilising OneSearch datasets, the OneSearch Express report is the first of its kind in the industry. As the only search company to hold a CON29 database for every council area in England and Wales, OneSearch Direct has developed the report to combine data and insurance, providing a perfect solution for solicitors who find themselves in time-pressured situations. OneSearch Express contains real-time Local Enquiries information captured by their in-house data team, and insures against Local Land Charges, Building Regulations and Road Status. The report is covered by £10million Professional Indemnity Insurance, and a £2million Search Report Inclusion Policy. “OneSearch Express seeks to address a crucial issue within conveyancing, where time is of the essence. 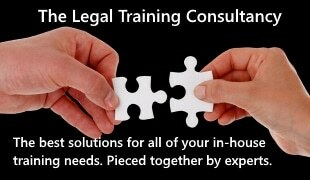 Every solicitor knows that turnaround times can vary widely by council area. With some local authorities taking over a month to return a search, this can cause unacceptable holdups. “In the case of new builds, for instance, exchange is typically required within 28 days of the purchase being agreed. For auctions, completion is generally required within 30 days of the bid being accepted, and for those investing in Buy To Let, clients are eager to transact quickly in order to start receiving a rental yield. “The main thing that distinguishes us from other search companies is our data. We are the only company to possess an extensive CON29 database, which we have acquired and maintained over the course of many years. Our data team has been meticulous in sourcing this information, and we undergo a Triple Quality Check methodology. “This is exactly why we have strong partnerships with some of the largest players in the industry, who have complete trust in our datasets. “Our low claims footprint means we have an exemplary PI record, and this has allowed us to extend unrivalled protection to our clients. Our comprehensive level of insurance cannot be beaten, and I’m delighted that we can now offer a search that can usually be returned within 24-hours, especially as it has increasing relevance in today’s market. To find out more about OneSearch Express, and to obtain a sample report, call Paul Maillardet, Channel Manager, on 07713 312664, or visit www.onesearchdirect.co.uk.